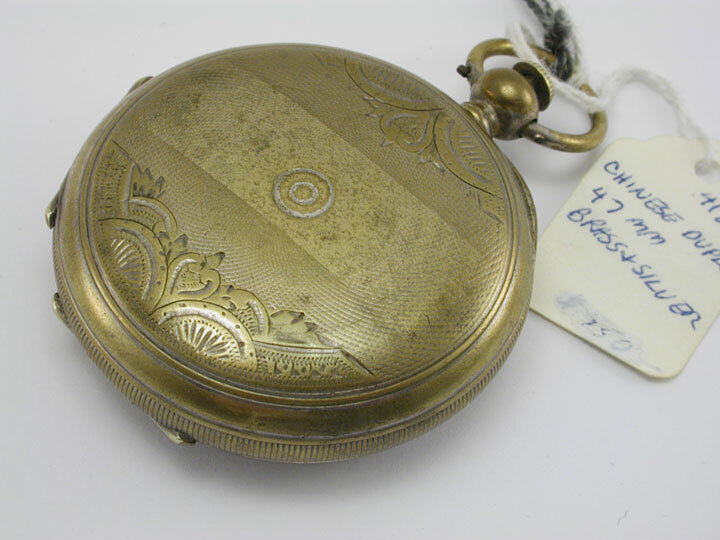 notes Gilt silver, key wound and key set, Chinese crab-claw duplex escapement, "Imperial Duplex" model made for the English speaking market, Unsigned by the watch maker, made in Switzerland, circa 1870. 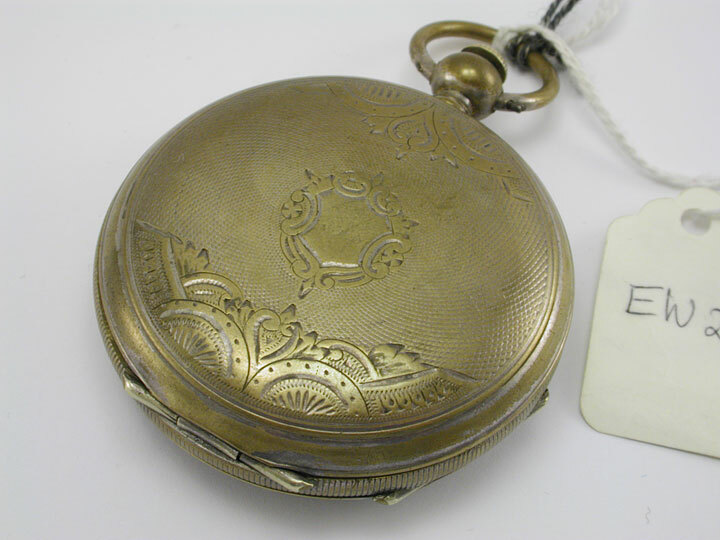 47mm diameter, four leaf, gold plated silver hunting case pocket watch having a silver ball pendant with push button and round bow placed at the three position opposite the case hinge. 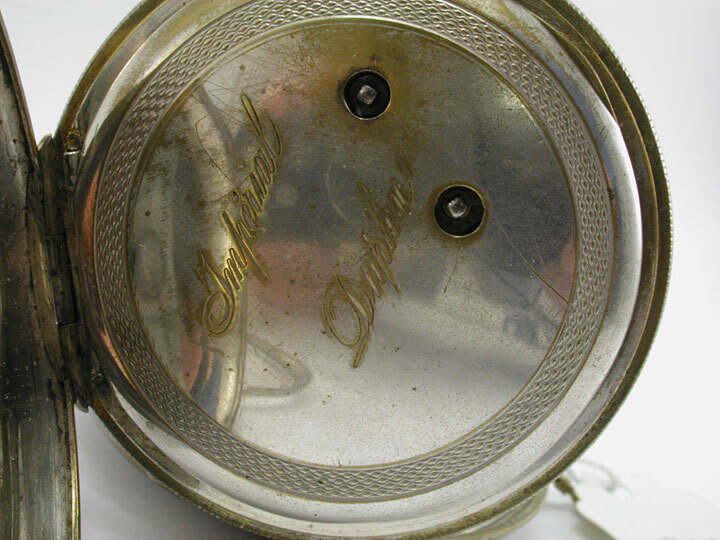 Engine turned outer covers with sunburst and floral engraving, one side having a cameo for the owner's initials. There is a knurled edge to the case. 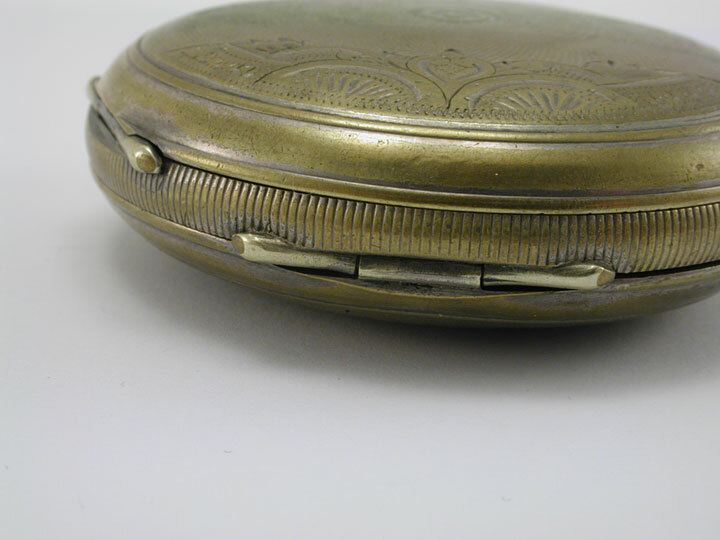 The inside of the cover has no hallmarks but says, "Warranted Sterling Fine". 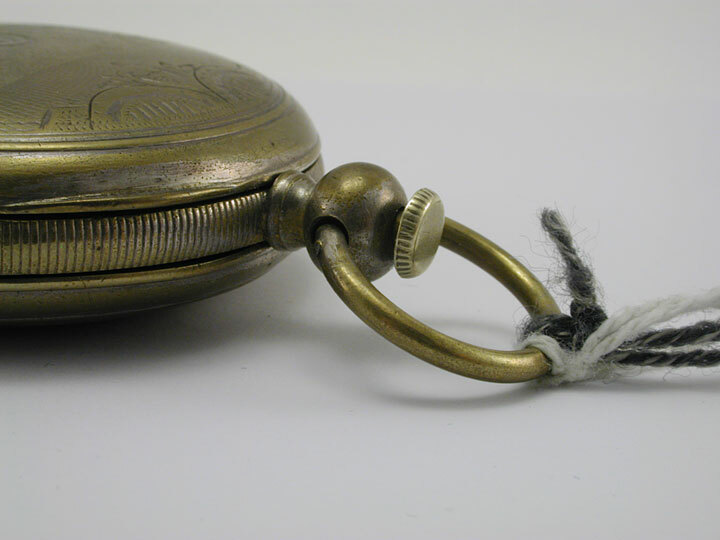 The cuvette has two key winding apertures and is marked for, "Imperial Duplex".Case serial no. 4242. 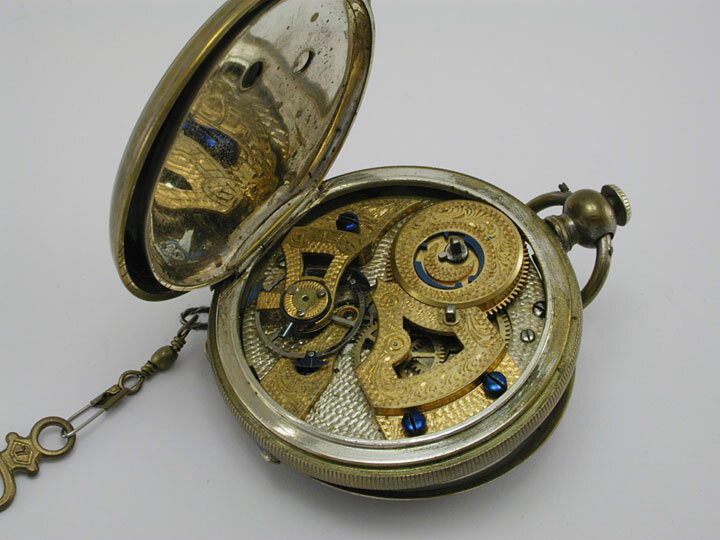 White unsigned, enameled dial with fine Roman hours, closed minute ring, blued steel Spade hands and a counterbalanced center seconds pointer. Gilt brass, highly ornamented with arabesques, Chinese caliber, key wound and key set, free-standing barrel, Jacot duplex escapement, bi-metallic compensation balance with blued steel "wings" (bat wings), blued steel flat balance- spring, index regulator marked, F&S. The regulator is marked in English initials for fast and slow. Movement unsigned. The crab claw or crab foot duplex escapement usually would allow the sweep second hand to advance in half seconds or in some versions in jumps of one second. 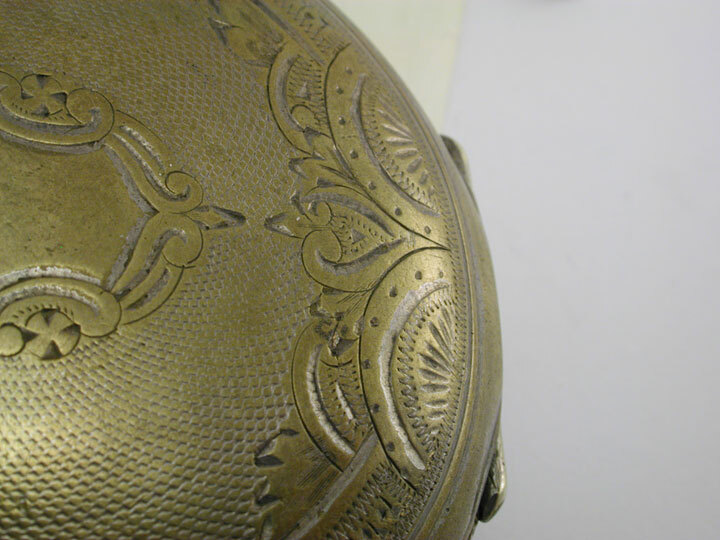 Moderate to severe wear to the gilt finish on the silver case along Oxidation and stippling to the silver case. 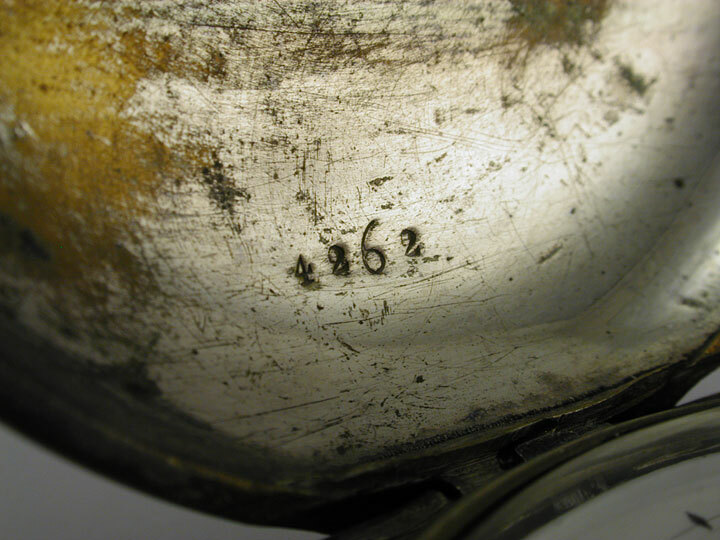 Dial edge with slight chipping. The design of the movement decoration is not as beautifully accomplished as one sees in the Bovet-Fleurier Swiss watches. 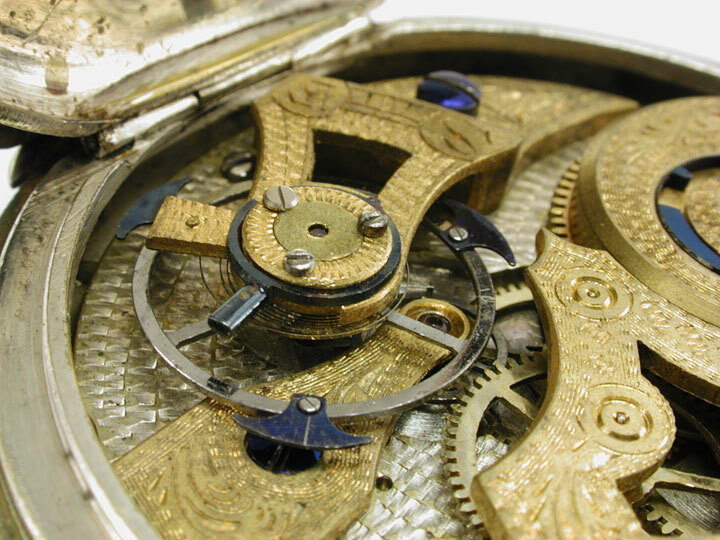 The 'Chinese Duplex' (aka 'Crab Tooth Duplex') escapement was manufactured in Switzerland by Edouard Bovet back around 1830 along with a train layout with an off- set 2nd wheel allowing the 4th wheel to be centrally located. 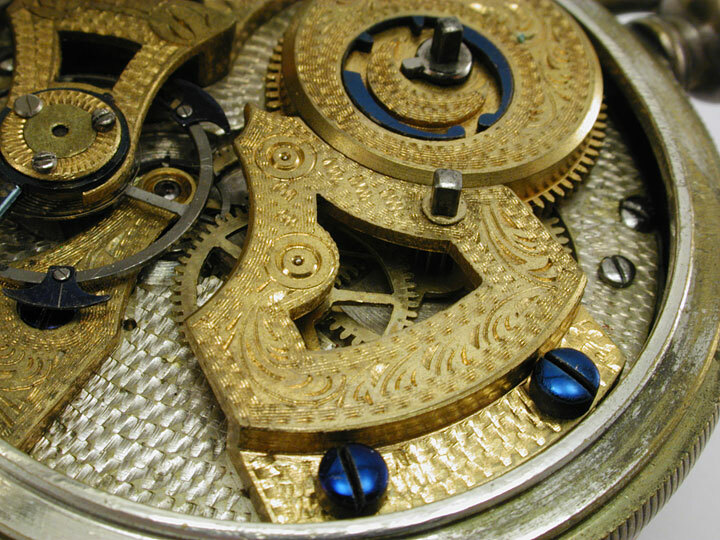 The Continental version of the duplex escapement involved two escape wheel on the same arbor, one with large teeth, the other with small. The english version had a single escape wheel with both types of teeth on the same gear. The combination of these features resulted in a big sweep hand that appeared to move once per second. 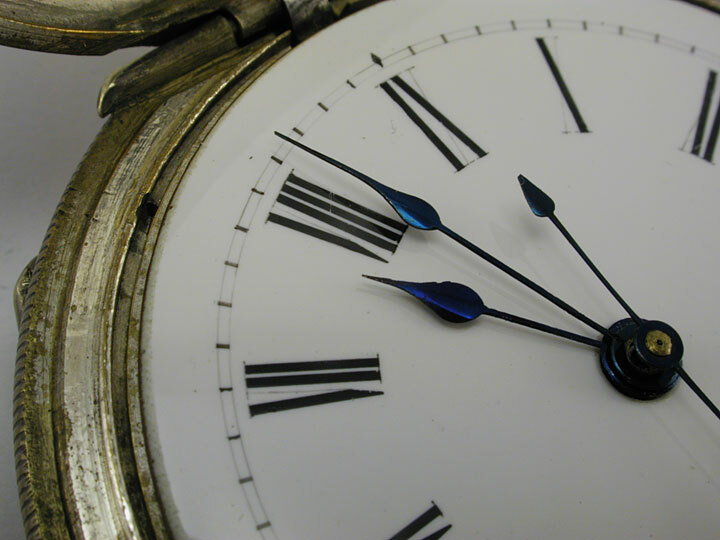 The sweep hand movement was also made with other more conventional escapements.